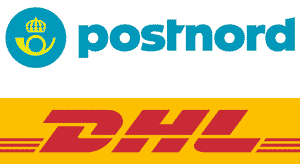 In most cases, the delivery of our whistles with PostNord-DHL. Can usually be sent as letter mail and usually take 1-2 days delivery by the postal service in the Nordic region. Your order will be delivered normally in 3-5 days. Do you have other requests for delivery, please indicate in your order and we'll try to arrange it.